From a handful of pips planted in a cottage garden over 200 years ago to the world’s most well-known cooking apple – every October, the town of Southwell hosts a celebration of its beloved Bramley. Like the fruit itself, the Southwell Bramley Apple Festival continues to grow and organisers are promising it will be bigger and better than ever when it returns on Saturday 24 October. Despite the fact that its origins are firmly rooted in Nottinghamshire, today the apple once nicknamed The King of Covent Garden flourishes as far afield as Japan, where grafts taken to the country were used to establish orchards, mainly around the town of Obuse. They even have their own book of 27 Bramley recipes and among the visitors to this year’s festival is Professor Matsumoto, a Japanese apple researcher who will be taking part in the opening ceremony and helping to strengthen the links between Southwell and Japanese apple growers. So what’s on the menu for this year’s festival? 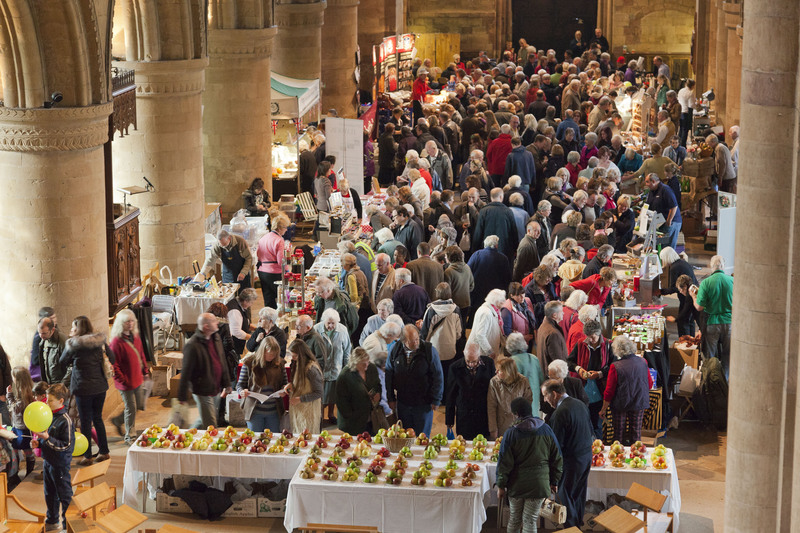 Start your day in historic Southwell Minster, the stunning setting for the Festival of Food and Drink, where you’ll find cookery demonstrations, an impressive display of apples from John Hempsall’s Heritage Orchard and 30 stalls representing the very best of local produce. Visit the recently refurbished Archbishop’s Palace and Education Centre for children’s craft and cookery activities, including a mystery trail and quiz in the garden. 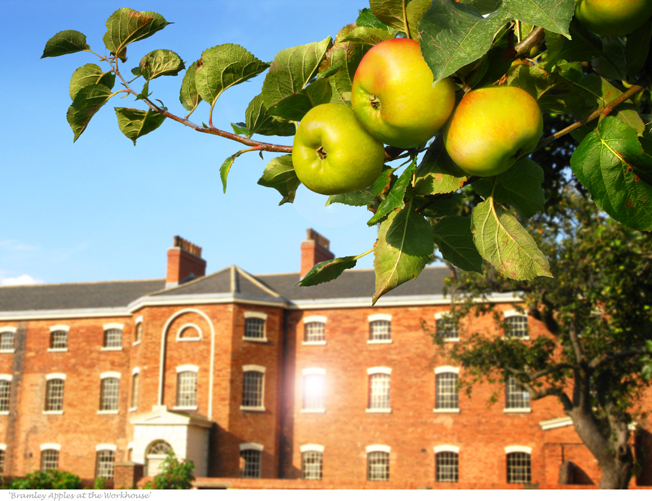 And for more apple-related activities, take a stroll down to Southwell Workhouse where you can have a go at creating the longest apple peel, follow an apple trail and listen to stories from The Workhouse Storytellers. 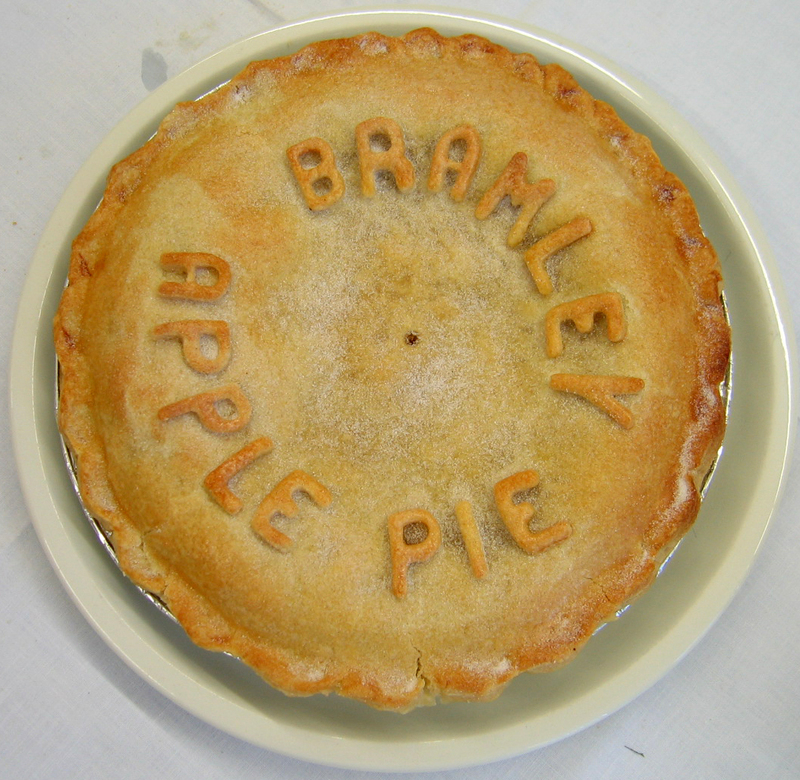 No celebration of the Bramley would be complete without pies of course! As always members of the Nottinghamshire Federation of Women’s Institutes will be making their contribution with the Annual Apple Pie Competition – head over to Southwell’s local library, the Bramley Centre, to see the entries and while you’re there check out the WI stalls and sample some of their refreshments. Local retailers will be entering into the festival spirit with apple-themed window displays and there’ll be music and dance from the Lord Conyers Morris Men and the Minster School Ceilidh Band. With the Bramley Apple Painting Competition, the Poetry Competition, a giant apple workshop and the crowning of this year’s Bramley Apple King and Queen – not to mention a special Bramley Race at Southwell Racecourse on Thursday 22 September – it all adds up to a sure-fire recipe for success. For more information about things to see and do at this year’s festival, visit the website or contact the Tourist Information Centre on 01636 819038.